Places everyone! 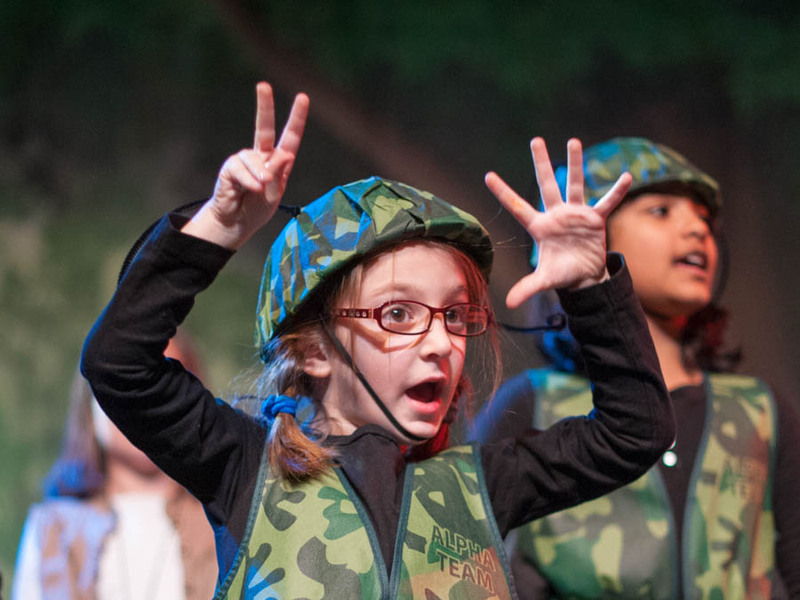 The Youth Theatre Program is an all-inclusive educational theatre program for grades K-9. In addition to learning about theatre, we strive to help students build confidence, improve communication and increase skills. Theatre is an experience your child will never forget; it’s a unique group effort that requires everyone’s participation to bring a show to life. We invite you to take the stage with the J Youth Theatre Program! Learn multiple facets of acting with our new specialized workshops featuring local theater professionals. Take your acting and entertaining skills to the next level or broaden your range of skills. Gain confidence and learn to shine on stage! Spring 2019 Production - Disney's High School Musical Jr.
We’re all in this together in Disney Channel’s smash hit musical phenomenon featuring the students of East High. Disney Channel’s hit movie musical comes to life on the J stage in Disney’s High School Musical JR. Troy, Gabriella and the students of East High must deal with issues of love, friends and family while balancing their classes and extracurricular activities. The show’s infectious, danceable songs are sure to engage performers and audiences alike. Students will learn how we don’t have to be just one thing, we can be anything our heart desires in this one-of-a-kind musical spectacular. 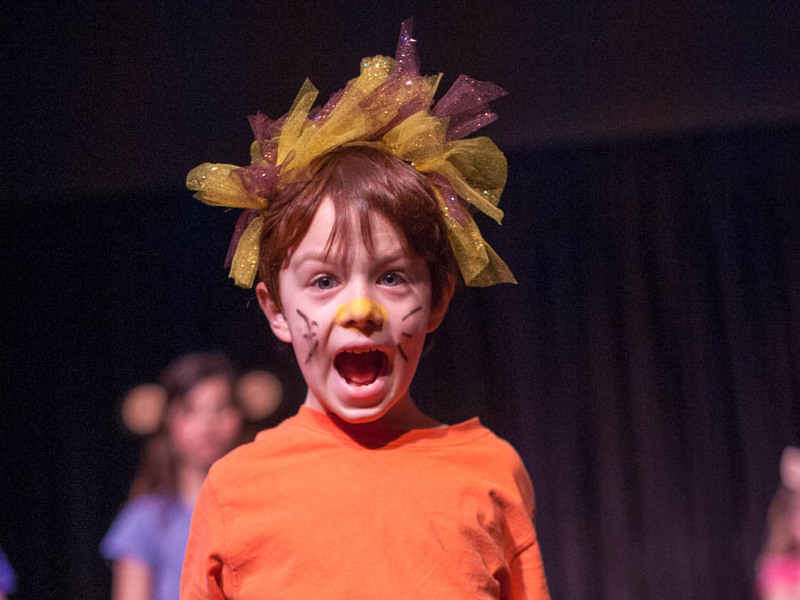 Fall 2019 Production - Suessical Jr.
Workshops are designed to help children learn techniques to replace nerves and offer first-timers a sense of confidence. The participants learn part of a song and choreography for the exciting production of Seussical Jr The workshop also includes improvisation and games. Enhance your vocal abilities in this one-on-one setting. Ages 3rd grade and up! 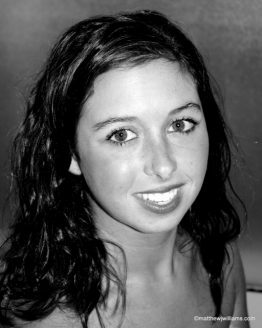 Mrs. Perkowitz-Fritz is a local vocal and piano teacher, who has loved working as the J’s Youth Theatre musical director. She received a degree in Music Performance with a major concentration in voice and a minor in piano. She has been teaching private voice lessons for several years. What makes the J Youth Theatre Program so unique? For more information about Youth Theatre, please contact Youth Theatre Director, Amber Franek, 314.442.3239.